Question | Less. More. Abundantly. Why did I stop writing for so long? Did this project eat less, pray more, love abundantly suddenly disappear? Would you be wrong to think it? I don’t think you would be wrong, do you? Was it a worthy cause so big it sucked the oxygen from my lungs and the strength from my imagination? Was it a challenge which some days cost me dearly in time and tears? Was it a commitment which brought more miracles in the midst of the messy than I ever could have anticipated? Is it now something I am suddenly thankful for and wax eloquently on how I became a super human as a result? Don’t you think life is a little more complicated than that? Would you believe it is my 6 year old funshine who gave me the strength to write again? Do you think there was ever a better teacher than his? What is the one question my dearest, funny, tenderhearted boy would ask God? How did my Pappy get cancer? 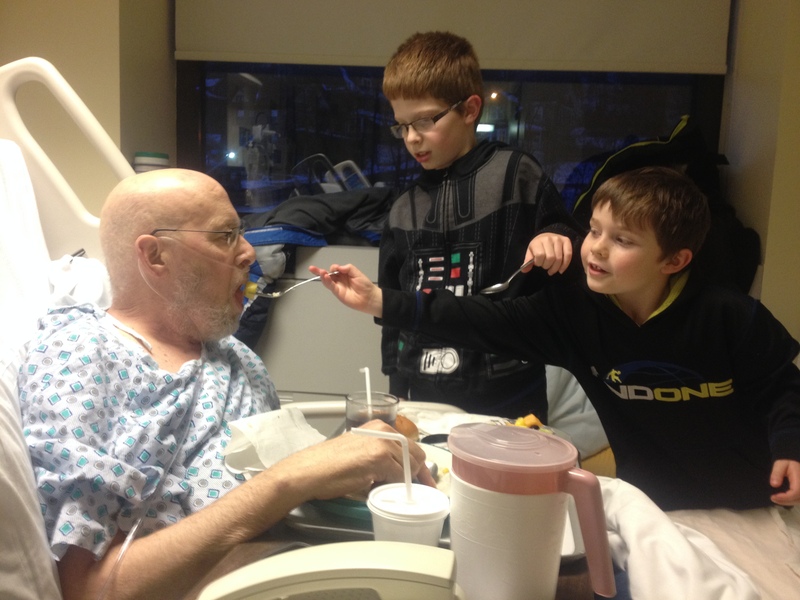 How did my father, the one solid rock for so many, get cancer? Why him and why now? Wouldn’t you think 50 days is enough to put the breath back in my body, strength in my bones? Are the connections to children and spouse too thin to rebuild? Is the armor I’ve encased myself in too thick to ever be removed? Why did I ever stop writing? I’m glad I’m starting again, are you? I have so much admiration for you that it just doesn’t even fit in my heart. You know that I know the pain of cancer right now (although you live it everyday and I don’t have to like you). I just really like you, KimRo! Dearest one, you are living it-just in a different way. Thank you for your kind words. They are so big they barely fit into my heart!